I visit the Highlands and Islands of Scotland regularly but, with the exception of a series of workshops I delivered in Aberdeen last year, I have never taken my two novels on tour with me. This August and September I remedied that. 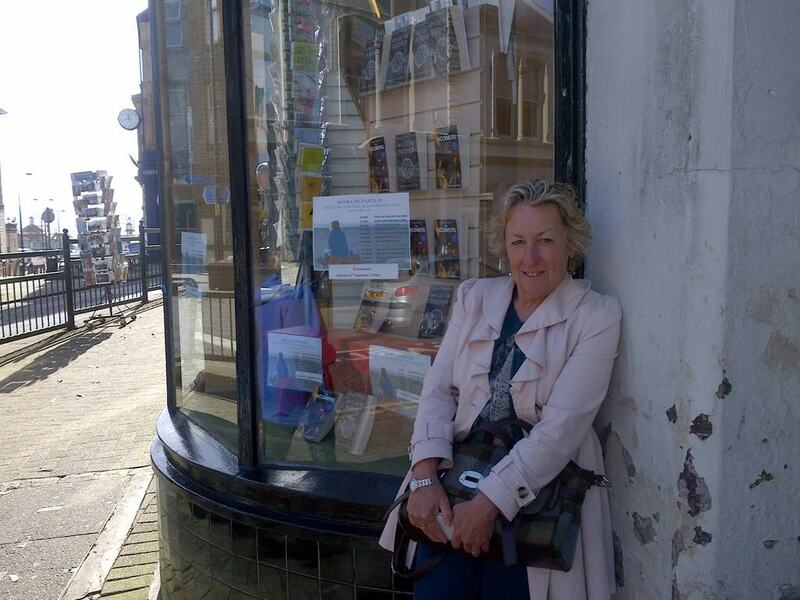 Travelling round with my husband in our campervan, Bessie, I visited bookstores, schools, libraries and writing groups throughout the Highlands and Argyll. This is a photo-blog of that tour. It started on a glorious late summer evening in Aberdeen with a visit to The Aberdeen Youth Council. Afterwards we bombed up the A96 to spend the night in a campsite in Nairn. Dubbed the ‘Friendly Caravan and Camping Club’ we were greeted by the warden who grudgingly showed us to our late night pitch. 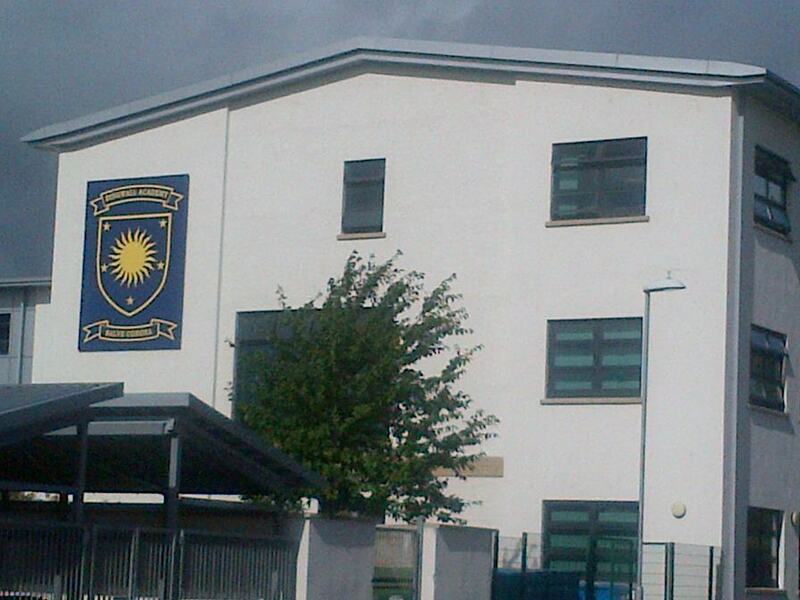 Next day I visited Dingwall Academy and Community Library. I presented Ways of the Doomed to a group of National Five students, had lunch with a youth book group and later met with a very enthusiastic adult book group. After three hours and three groups I was all talked out and looking forward to some rest days before the next event. We stopped off in Contin for a couple of days. The first day we climbed the hill Little Wyvis and I was astounded to see that the controlling future world I invented for Ways of the Doomed is not so far away. 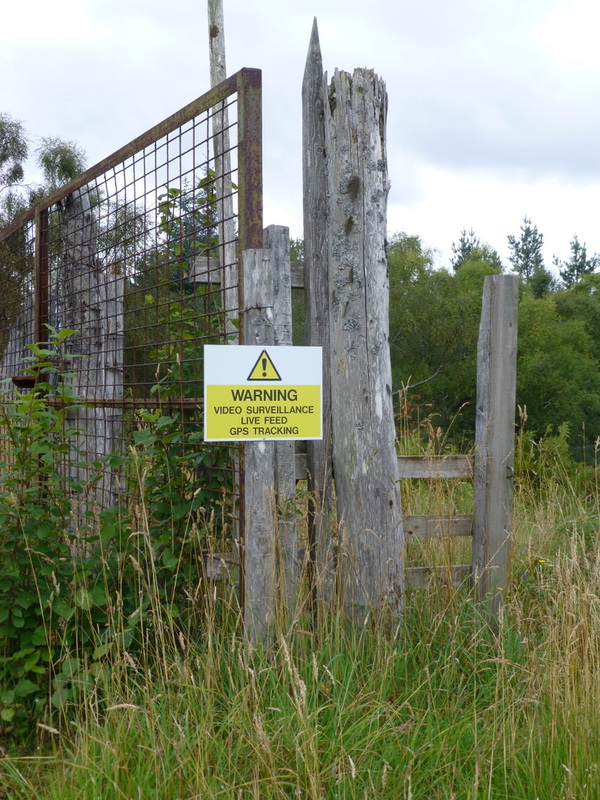 These signs are displayed all over the estate to scare walkers away. It didn’t work. 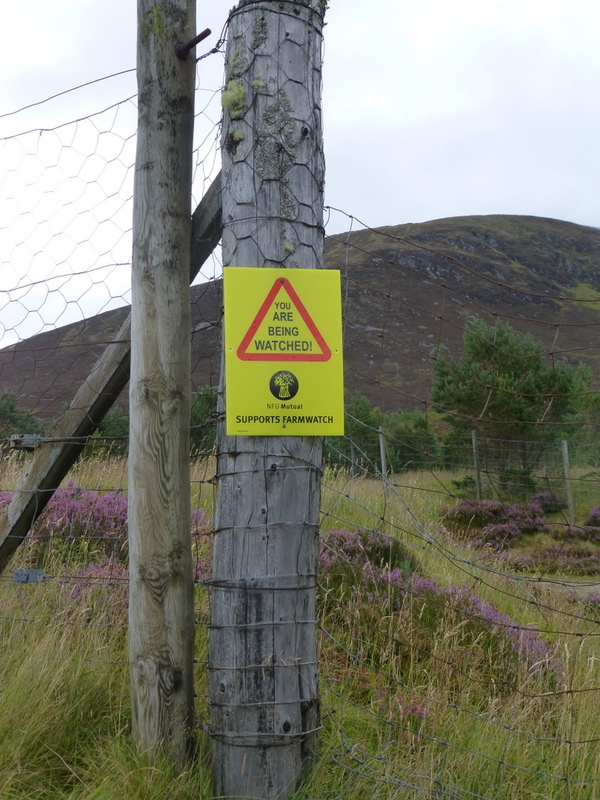 These signs are to put walkers off but the Access Laws in Scotland allow walkers to walk on these paths. Next day Colin wanted a day fishing so we drove the van to Loch Meig and while he guddled about looking for fish I ran the length and back of the loch before settling down in the van to write some new short stories. 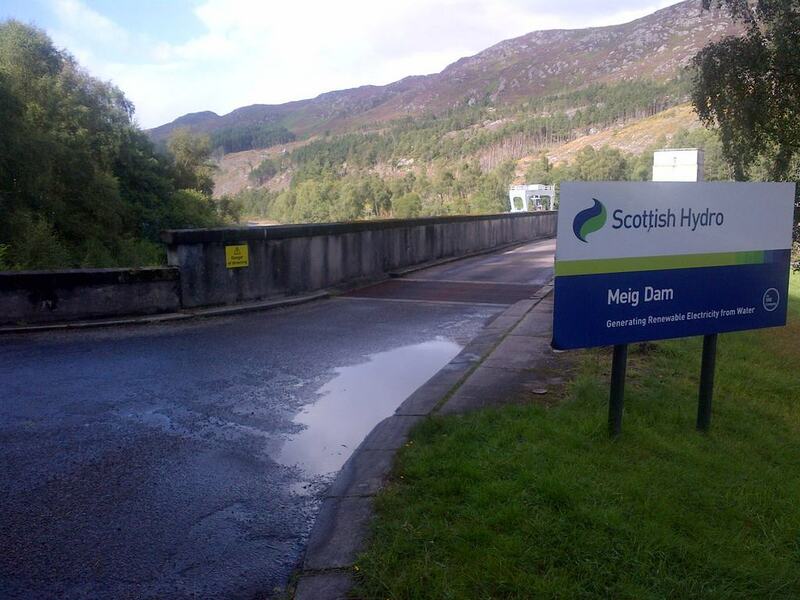 A fine road runs the length of the loch to the dam and back. Back to the tour and lunch in Inverness with a group of children’s writers before the first of my open events – Saturday afternoon in Waterstones, Inverness. I was well looked after by the welcoming staff of this lovely bright store. 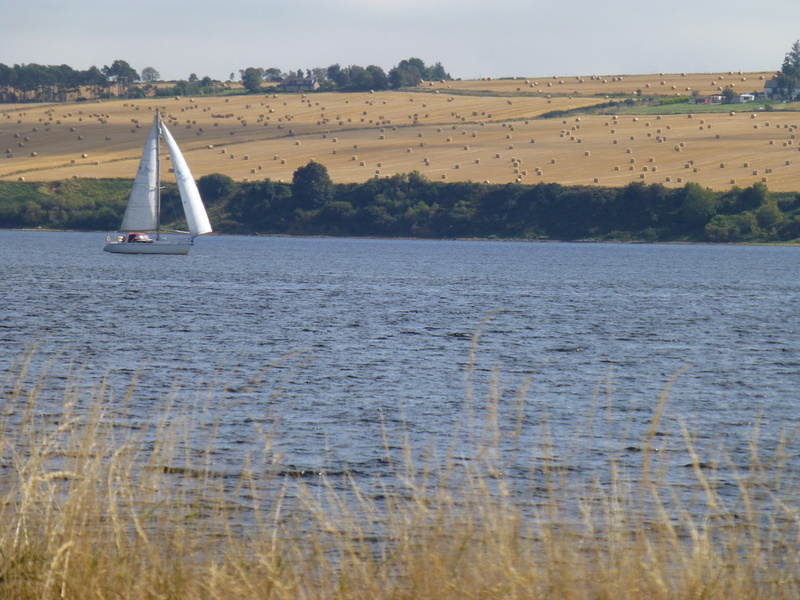 Saturday and Sunday night were spent in Evanton giving me the chance to have a lazy Sunday wandering the banks of the Cromarty Firth. Monday started grey but brightened up by the time I reached Fortrose Academy. I was one of the many workshop leaders to take part in the Project Future Literacy Festival. It was a treat to meet all the other leaders and to work with such willing and happy students. From Fortrose we dashed up the A9 to Wick in time to see a stunning sunset and to experience Mexican Monday food in the local Wetherspoons. 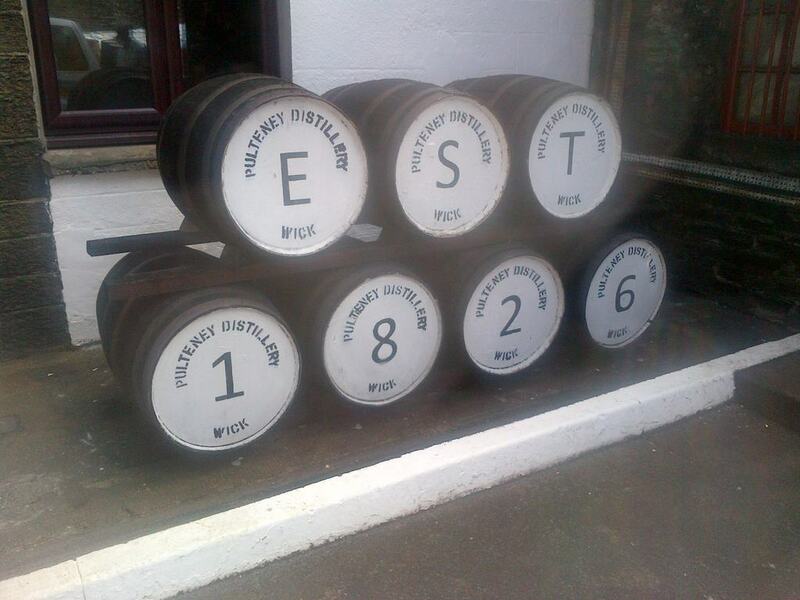 The Wick event was in the evening so we had plenty time to visit the famous Pulteney Distillery before I delivered my Narrative Devices workshop to Caithness Writers. Another road dash next day to another writers’ group, this time southward to Huntly. 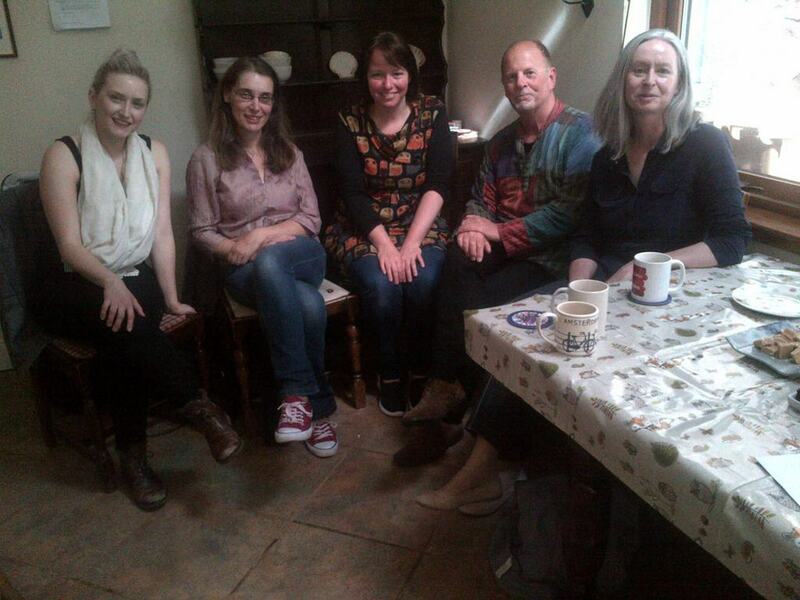 Huntly Writers’ meeting was informal and rather than deliver a talk or a workshop we all sat around, as writers, and talked about writing. It was very relaxed and great fun. Next day I had the opportunity to visit one of the Huntly creative initiatives, Orb’s Bookshop. And of course I couldn’t resist buying a book there. So that was the sunny North Highlands, what about the other Highland areas and the ONE island? The next part of the tour involved mixed weather, ferries and a few trips round the West Coast. Publicity was important for the tour. 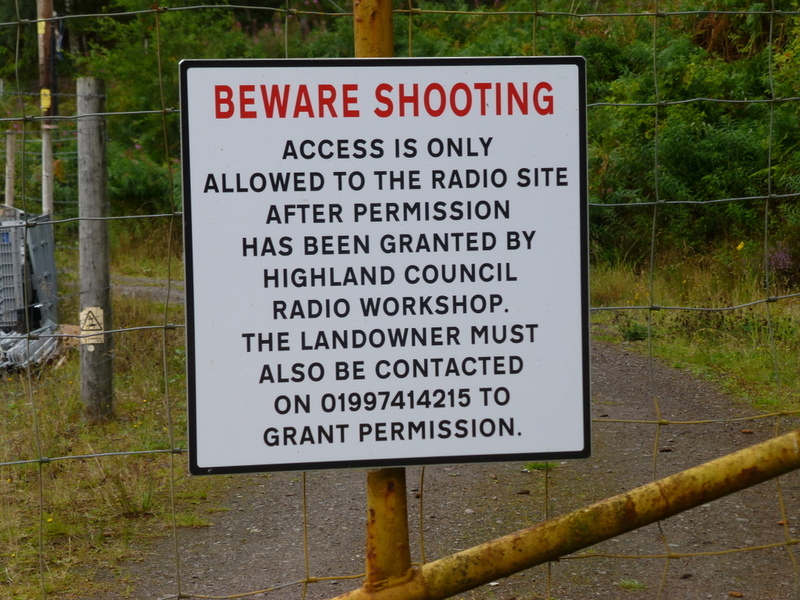 Some local papers featured my tour and Bute Island Radio invited me to speak on their community show. The show was the day before the Dunoon event so we sailed over the Clyde to Rothesay, and while the wind picked up and the rain battered down I spoke for an hour about books, libraries and writing. By the time I left the radio station the ferries were disrupted and we were very glad our ferry journey to the Cowal Peninsula was only five minutes long. The weather improved and next day Dunoon sparkled in the sunshine. Bookpoint Bookshop was the venue for my talk and although the audience was small we had a long and lively Q & A session and the coffee shop setting was right up my street. All aboard for the Rothesay Ferry! We headed home for a couple of days to celebrate a family birthday, then hit the road again for the last leg of the tour. 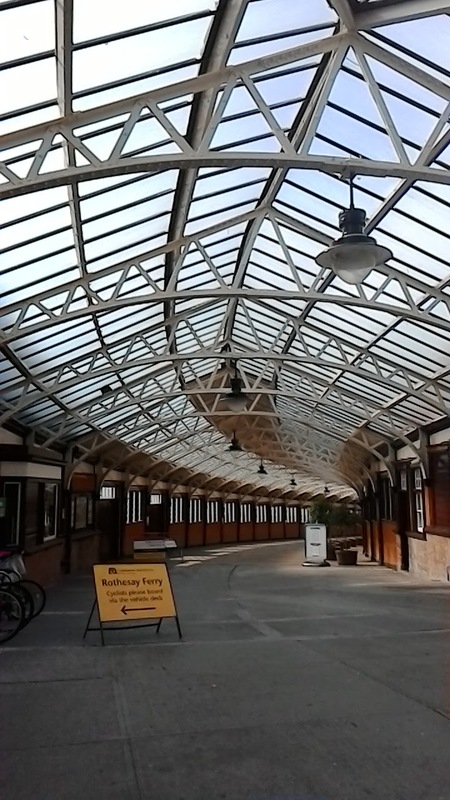 Back to Rothesay in good weather this time for a busy, bustling event at Rothesay Library. There I presented my books and because the audience was still buzzing from the success of Bute Noir, the new crime festival held on the island, crime fiction was also on the menu. Last stop was Oban. 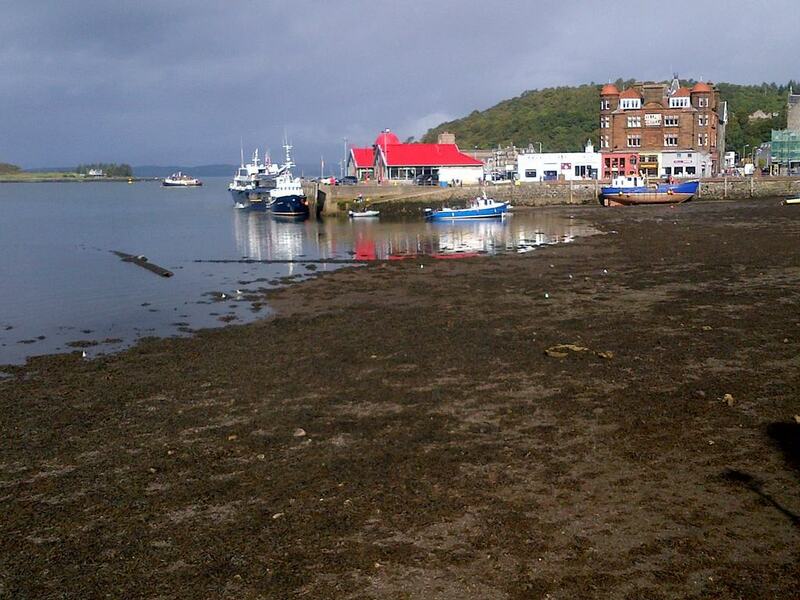 I love Oban, I have visited many times, mostly passing through on the way to the Islands. 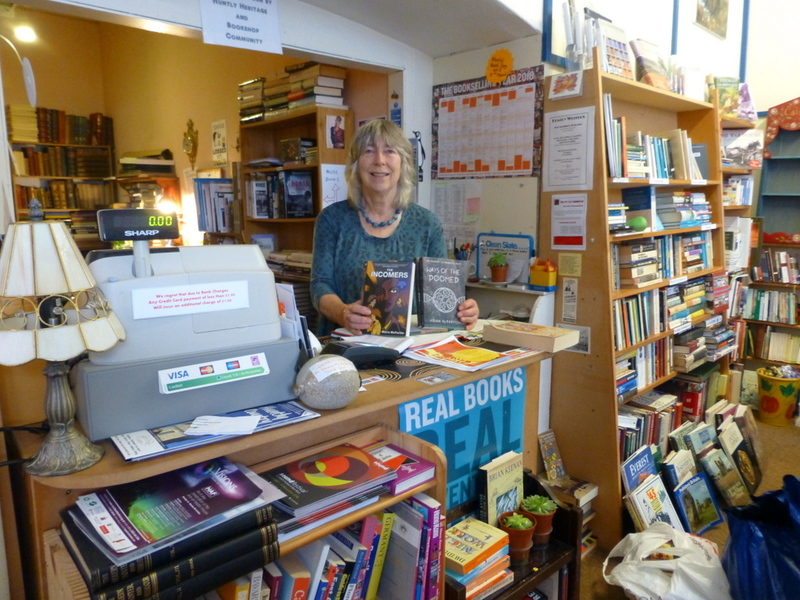 This time I talked to readers at Oban Library and spent Saturday afternoon in Oban Waterstones engaging with customers, most of whom were tourists. I had a fan girl moment during a wonderful conversation with Luke Sutherland’s sister! We camped in a coastal campsite just outside the town and enjoyed spending lazy mornings watching boats sail up and down The Sound of Kerrera. This tour was an adventure. 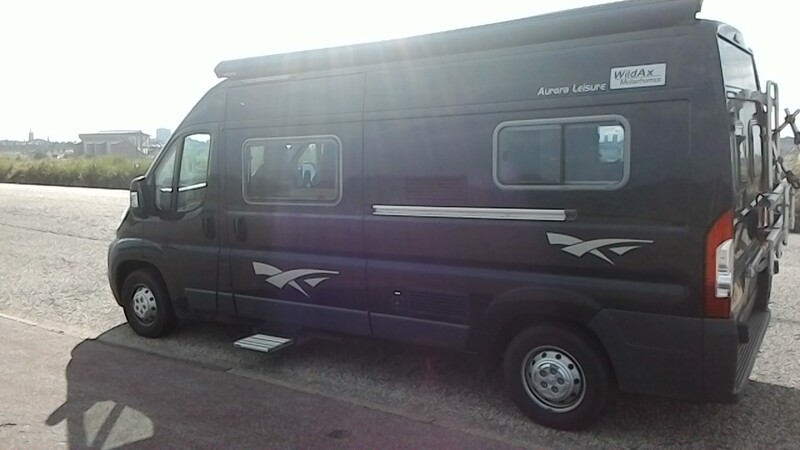 A way to combine my love of Scotland and camper-vanning, with my love of writing. It was hard work but I enjoyed very minute of it. The many librarians, bookstore managers, writers and teachers who hosted my events were kind, welcoming and helpful. I thank you all. While I was in Oban it was suggested my next tour should be to the Islands. Watch this space.